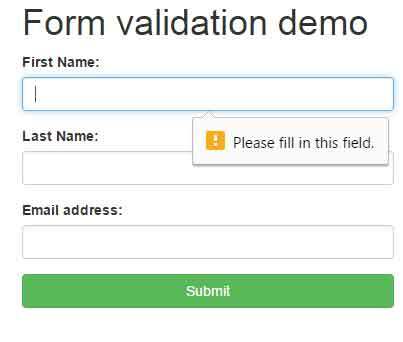 In HTML 5, the default form validation is done for the fields marked with the required attribute. 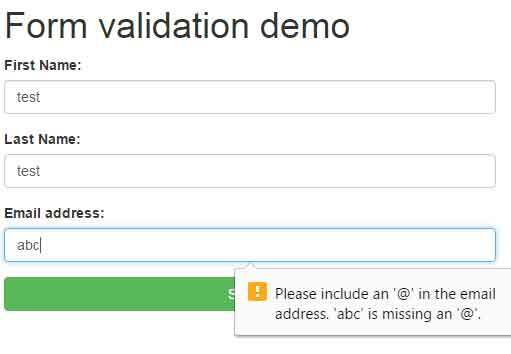 It will even check the email format for the field specified as type=”email” with the required attribute. 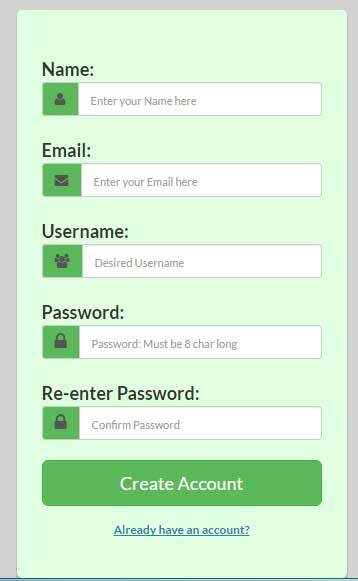 Where the specific field will also get focus as you try to submit the form. “You must enter your name” etc. You can see, only adding the required attribute will not let move ahead if the field is left blank. In the case of email address, the format of the email is also checked as shown in the second graphic. Also, you saw the standard messages are shown i.e. 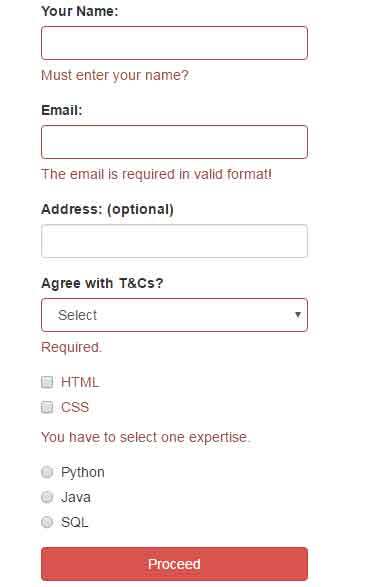 “Please fill in this field” with an icon. Similarly, you may specify the message according to the field. Otherwise, the error message will keep on displaying. You may download this nice plug-in from the GitHub website here. After downloading, just include the validate-bootstrap.jquery.min.js file after referencing the jQuery and Bootstrap JS files.